New PV Alert: Star☆T – Omae wa dare ga sukina no? 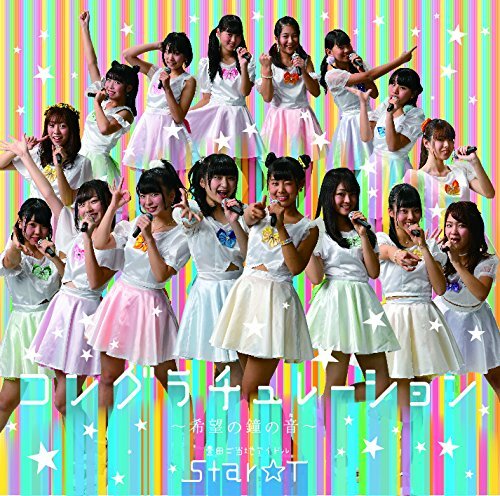 Local idol group Star☆T release their 7th single “Congratulation ~Kibo no Kane no Ne~” in March, and here to promote the single is the b-side promotional video. “Omae wa dare ga sukina no?” finds our young girls on a group date, but one of the crew has some serious feels. Will she build up enough courage to ask for a solo date? I found this video remarkable in a couple of ways. Firstly, the story, although well-traveled material, is a very cute school romance. Secondly, there are boys in the PV! On those two fronts, Star☆T does well. But, in the unseen angenda, the group and video do a great job of promoting their home Toyota City. Based on what I see here, Toyota City looks like a nice place to live amirite? You can buy “Congratulation ~Kibo no Kane no Ne~” at your favorite retailer on March 8, 2017. 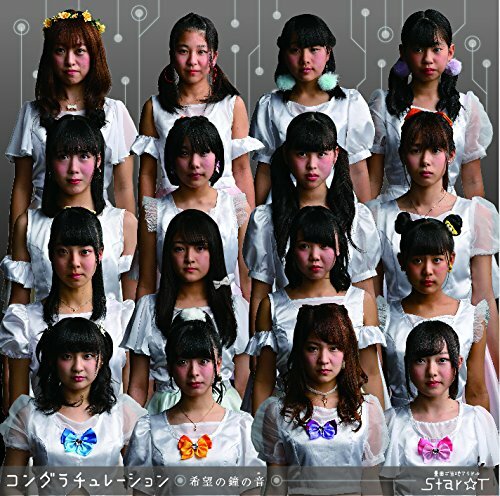 Buy Ｓｔａｒ☆Ｔ’s “Congratulation ~Kibo no Kane no Ne~“!